This book is a chest of storytelling. The fairy tales that make it up aren’t just artificial products though— they’re the result of the creative imaginations of generations of humans all over the world. 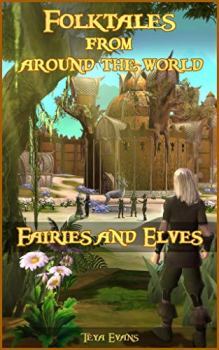 Fairies and Elves is one of a series of books that delve into the surprising nature of magical creatures from all over the planet. The bedtime stories told in all these books are ancient, deep and beloved by their listeners. Explore this collection of folktales knowing that you’re seeing the world through their eyes.